PULLMAN, Wash. – A WSU research team has won an Institute of Electrical and Electronics Engineers Best Paper Award for their work on a tiny, wireless data center that could someday be the size of a hand-held device and dramatically reduce the energy needed to run such centers. Their paper, Wireless NoC and Dynamic VFI Codesign: Energy Efficiency Without Performance Penalty, won Institute of Electrical and Electronics Engineers’ (IEEE) Circuits and Systems Society Very Large-Scale Integration Systems Best Paper Award. The paper was published in IEEE’s Transactions on Very Large-Scale Integration Systems journal in 2016. Partha Pratim Pande, the Boeing Centennial Chair in Computer Engineering and professor in the School of Electrical Engineering and Computer Science, collaborated with a team from Carnegie Mellon University on the work. WSU students Ryan Kim and Wonje Choi also were co-authors on the paper. Like the way a cellphone works, the researchers used a tiny, low-power transceiver, on-chip antennas and communication protocols to enable wireless shortcuts to expand the capabilities for a wireless data-center-on-a-chip. The researchers are continuing their work with a three-dimensional, wireless chip at the nanoscale that can move data more quickly and efficiently while using dramatically less space and energy needed to run traditional data centers. 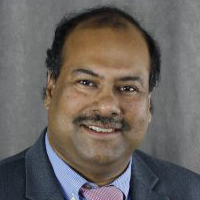 Pande is the director of the School of EECS and has been at WSU since 2005. He has authored or co-authored more than 100 papers in journals and conference proceedings, which have been cited more than 5,000 times. In 2009, he received a National Science Foundation Career award, and in 2013 he received the Voiland College of Engineering and Architecture’s Outstanding Researcher Award. He holds a doctoral degree in electrical and computer engineering from University of British Columbia, a master’s degree in computer science from National University of Singapore and a bachelor’s degree from University of Calcutta, India.